Visions of Hell: STH Stormwatch 07Oct2014 : the first cyclone in Bay of Bengal of 2014? 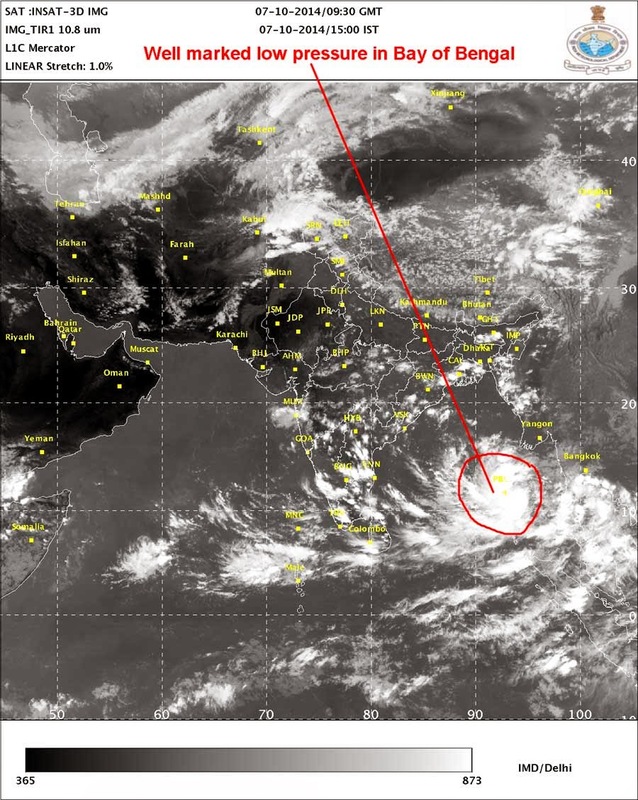 STH Stormwatch 07Oct2014 : the first cyclone in Bay of Bengal of 2014? 'The well marked low pressure area over north Andaman sea and neighborhood has concentrated into a Depression and lay centred at 0830 hours IST of today, near lat.11.5°N / long 95.0° E, about 250 km east of Port Blair. Updates and tracks of the storm will be posted as required.